Chicago International Movies & Music Festival (CIMMfest No. 5), Chicago’s annual festival of film screenings, music concerts and more, presents CIMMpathy for The Stones, a major retrospective celebrating The Rolling Stones’ 50 years of music on film. The retrospective includes screenings of ten concert films and documentaries – two never before seen in Chicago – plus music videos and filmmaker Q&As Friday-Sunday, April 19-21, at Music Box Theatre, 3733 N. Southport. ABKCO Films’ Mick Gochanour and Robin Klein will be in attendance for audience Q&As following a trio of critically acclaimed films. These are: The Rolling Stones Charlie is my Darling - Ireland 1965, documenting The Stones’ first professionally filmed concert; the lost holy grail of rock films The Rolling Stones Rock And Roll Circus (1968); and Albert Maysles’ Get Yer Ya-Ya's Out! ABKCO Films’ Sympathy for the Devil, directed by auteur Jean-Luc Godard, also screens as part of the retrospective. CIMMpathy for The Stones marks the Chicago premiere of the documentary Rolling Like a Stone (2005), which begins with a forgotten 1965 home movie of Mick Jagger, Keith Richards and Brian Jones at an after-concert party in Sweden. Rolling Like a Stone won Best Music Documentary at the SilverDocs Film Festival. Also making its Chicago premiere is I Got the Blues in Austin, a visit with Austin's legendary surviving blues artists with Mick’s brother Chris Jagger. D Richard Jernigan and featured blues singer Lavelle Whitewill be present for a Q&A. CIMMpathy for The Stones kicks off Friday at the Music Box with the concert film Muddy Waters and The Rolling Stones at the Checkerboard Lounge, Live Chicago 1981. Chicago blues played a seminal role on the Stones early sound (so much so that they recorded at Chess Studios in 1964). On November 22, 1981, during their US tour, The Stones visited Chicago's South Side to catch Muddy Waters performing at the legendary Checkerboard Lounge. Before long, Mick, Keith, Ronnie and Ian Stewart joined Muddy on stage, as did Junior Wells, Buddy Guy and Lefty Dizz. Newly discovered, never-before-seen-footage has been woven into an intimate, behind-the-scenes diary of early life on the road with The Stones. Shot just weeks after "Satisfaction" hit #1 on the charts, it features their first professionally filmed concert. Charlie is my Darling-Ireland 1965 captures the band before they became legend. In the spring of 1971, The Rolling Stones reluctantly departed the UK to take up residence in France. Keith Richards settled in a villa, and this became the venue for the recording of much of the band's masterpiece Exile on Main Street. Stones in Exile tells the story in the band's own words and through extensive archive footage of their time away from England and the creation of this extraordinary double album, which many regard as the Rolling Stones' finest achievement. Shot on 16mm during The Rolling Stones' 1978 US Tour, after the release of Some Girls, this tour film documents what many consider one of the very best Stones shows at the Will Rogers Memorial Center in Fort Worth, Texas, on July 18th, 1978. This is undeniably The Rolling Stones at the peak of their form. The starting point for this film is an 8mm amateur home movie shot in 1965, where Mick Jagger, Keith Richards and Brian Jones attend an after-concert party with local musicians and pop fans. For some the party never ends. Immortalized by this forgotten home movie, the party-goers try - 40 years later - to make sense of these memories, and the eternal question of "What could have been?" Jean-Luc Godard captures The Rolling Stones in the mist of producing their soon-to- become anthemic "Sympathy for the Devil," in London's Olympic recording studio. Beginning as a ballad, the track gradually acquires a pulsating groove. Juxtaposed against themes of revolution and democracy, the film is a brilliant portrait of the creative process at its most collaborative and arousing. Long considered the lost holy grail of rock films, this two-day event features circus fire-eaters, acrobats and clowns alongside extraordinary live performances by The Who, Jethro Tull, Taj Mahal, Marianne Faithfull, The Dirty Mac Band (John Lennon, Eric Clapton, Keith Richards and Mitch Mitchell), Yoko Ono and The Rolling Stones. As David Dalton so aptly put it, "For a brief moment, it seemed that rock 'n' roll would inherit the earth." 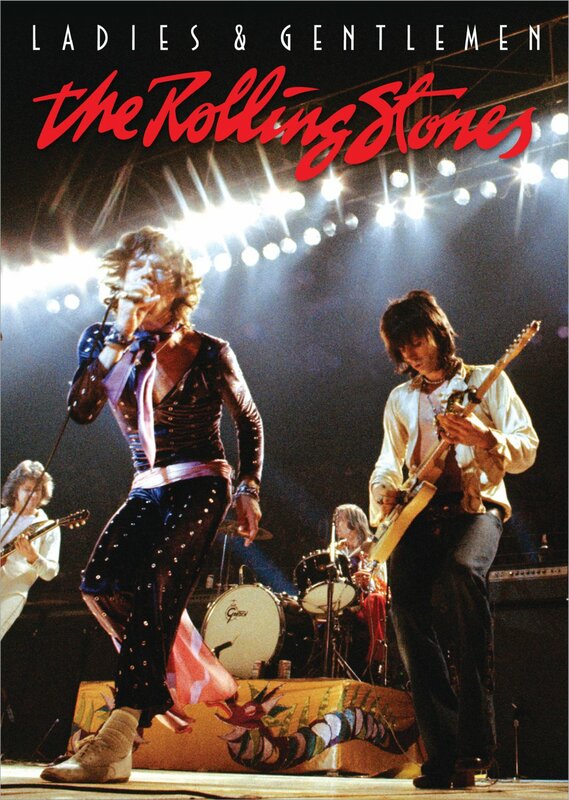 The legendary Rolling Stones concert film shot over four nights in Texas during the Exile on Main Street tour in 1972. This is one of the finest Rolling Stones concerts ever captured on film. As The Rolling Stones prepare to play Austin, Chris Jagger, broadcaster and brother of the legendary Mick, joins local radio host John Peyton and visits Austin's legendary surviving blues artists, including: the late Pinetop Perkins, Lavelle White, Jimmie Ray Vaughan and Hubert Sumlin. The film culminates with a heartwarming jam session between Pinetop Perkins and The Rolling Sessions backstage. I Got the Blues in Austin allows audiences to spend intimate moments with the last of a blues generation in Austin like no other. 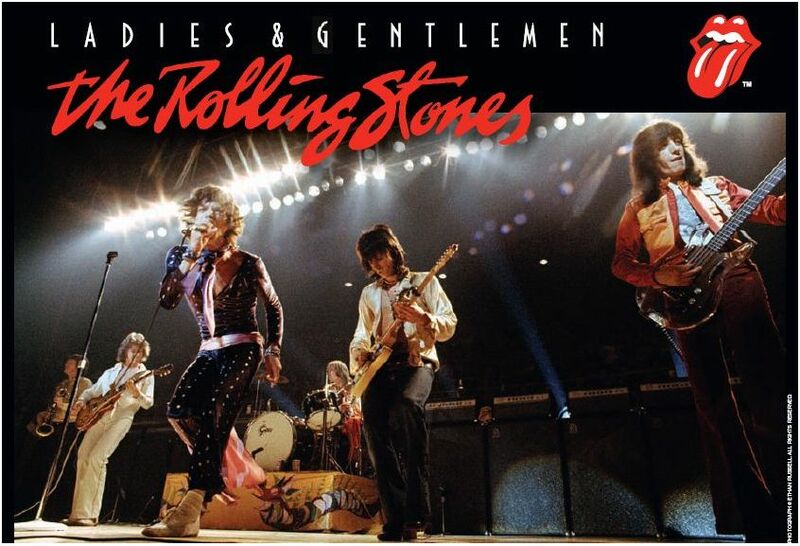 A spellbinding film diary of five songs performed at Madison Square Garden during The Rolling Stones' 1969 U.S. tour, a photo shoot featuring Mick, Charlie and a donkey, a mixing session at Olympic Studios, backstage tête-à-têtes between Keith, Jimi Hendrix and Mick Taylor, and a heliport summit meeting before Altamont. Thirteen world premieres, a film/music tribute with Melvin Van Peebles, closing night film The Source Family and much more highlight CIMMfest No. 5. The four-day festival annually brings together filmmakers, musicians and devotees from around the world for a celebration of movies and music at various venues centered around Chicago’s Wicker Park and Logan Square neighborhoods, with a satellite location at the Music Box Theatre. CIMMpathy for The Stones is co-presented by WXRT, ABKCO Films and Eagle Rock Entertainment. More than 70 music-centric films from 27 countries will be screened, including features, documentaries, shorts, concert films, animation and music videos, all with music at their center. Playing a bigger role this year will be the live music component, including 50 bands, live film scoring, live concerts by documentary film subjects and more. The complete program lineup is available at www.CIMMfest.org. The complete schedule of films and locations is below. Single tickets to CIMMpathy for The Stones movies are $10 in advance at www.CIMMfest.org or day of show at the Music Box Theatre box office. The best way to guarantee attendance at CIMMfest No. 5 programming is via purchase of an All-Access Festival pass, priced at $79 and now available at www.CIMMfest.org. Festival passes not only offer a substantial savings on individual tickets but provide access to four days of outstanding premiere films, concerts, Q&As, performances, afterparties and more. The mission of the Chicago International Movies & Music Festival (CIMMfest) is to highlight the inseparability of film and music through the production of an annual four-day, multi-venue festival. CIMMfest is a convergence event that highlights the interconnectedness of all people shown through the lens of music and movies, on stage and on screen. All participating films have music at their center: short and long form documentaries and narrative fiction; concert films; animation; music videos; performances; live concert events; art exhibits; and panel discussions, presented at both new and historic venues around Chicago. CIMMfest is a platform for filmmakers and musicians, artists and producers, to present their vision and offer a connection point for people to come together for a celebration of movies, music and good times in the greatest city on earth – Chicago! For more information, visit www.CIMMfest.org. ABKCO Music & Records is one of the world’s leading independent entertainment companies. It is home to iconic catalog assets that include compositions and recordings by Sam Cooke, The Rolling Stones, Bobby Womack, Eric Burdon, The Animals, Herman’s Hermits, Marianne Faithfull, The Kinks as well as the Cameo Parkway masters by such artists as Chubby Checker, Bobby Rydell, Clint Eastwood, The Orlons, The Dovells, ? & The Mysterians, Charlie Gracie, The Tymes and Dee Dee Sharp. Soundtrack releases include Wes Anderson’s 2013 Academy Award®-nominated Moonrise Kingdom, The Darjeeling Limited and the 2010 Academy Award®-nominated Fantastic Mr. Fox, Independent Spirit Award®-winner Safety Not Guaranteed, Our Idiot Brother, the international blockbuster Fast Five, Edgar Wright’s Scott Pilgrim vs. The World, Percy Jackson & The Olympians: The Lightning Thief, The Men Who Stare at Goats the soundtrack to the first season of the hit Showtime® series, Californication.ABKCO is active on many fronts including the release of critically lauded compilations and reissues from its catalog, film and commercial placement of its master recordings and music publishing properties in all media. ABKCO Films most recent release is The Rolling Stones Charlie Is My Darling – Ireland 1965. has been involved with many successful movies including The Greek Tycoon Quinn and Jacqueline Bisset, La Grande Bouffe of the International Critics prize at the 1973 Cannes Film Festival and The Concert for Bangladesh uring Eric Clapton, George Harrison, Bob Dylan and Ringo Starr. Renowned cult director Alejandro Jodorowsky’s classics El Topo and The Holy Mountain, restored and remastered to HD, were shown at the 2006 Cannes Film Festival (Classics section) and at the prestigious 44th New York Film Festival. In 2003 ABKCO Films won a Grammy for the DVD release of Sam Cooke – Legend and the following year released the DVD of The Rolling Stones Rock and Roll Circus to universal acclaim. Upcoming releases include a restoration of the Spaghetti Western Blindman Ringo Starr. ABKCO Films is in pre-production on a biopic on the life of Sam Cooke. Eagle Rock Entertainment is the largest producer and distributor of music programming for DVD, Blu-ray, TV and Digital Media in the world. Eagle works directly alongside talent to produce top quality, High Definition and 3D programmes, both concerts and documentaries, including The Rolling Stones, Pink Floyd, The Who, Queen, The Doors, Jeff Beck, U2, Peter Gabriel, Paul McCartney and Ozzy Osbourne. Eagle’s TV library features over 2,000 hours of programming and there are over 800 titles currently available worldwide on DVD, Blu-ray and digitally. Eagle is a Grammy Award-winning company and has received over 30 Multi-Platinum, over 50 Platinum and over 90 Gold Discs, worldwide. Eagle continues to operate two audio music labels and has recently released both physical and digital albums by Ronnie Wood, Lindsay Buckingham, Gary Moore, Styx and Counting Crows. Eagle is also now a fully fledged music publisher through its new subsidiary, Eagle-i Music. Eagle Rock Entertainment has offices in London, New York, Toronto, Paris and Hamburg.